One of QO's first members recalls happenings for him and the club in the formative years. 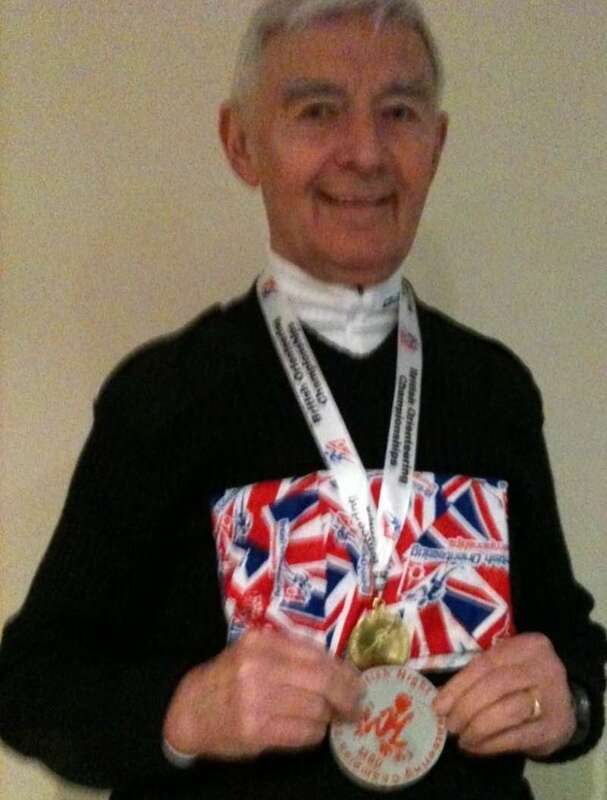 David died in February 2019 but was still going strong with Derwent Valley Orienteers when he wrote this. Indeed, he was British long distance champion in 2015 in the Forest of Dean, where he pushed QO's Bill Vigar into 3rd place. My first contact with Quantock Orienteers was at a Badge event in 1968. I think Eric Peckett (now of SWOA) was controller. My Force, Bath City, had just been taken over by Somerset and I had an appointment with the Chief Constable on the Monday. I was on a Police Scholarship to London School of Economics. An 18 year old Mike Wimpenny (now Devon OC) won. Two controls had been taken out of the A course but the “Descriptions” had not been properly amended. I remember a most unhelpful Dave Livesey (now Devon, also) saying, “Oh I know what you have done” when I was searching for ‘a lone tree by the path’ in the middle of the forest when the control was in ’a grassy glade’. I had slept the night in the female cell at Bridgwater Police Station. My memories are that the secretary of the Red Slab Climbing group Keith Vickery, John Pilkington and Dave Livesey were the prime movers. Rosemary Roach and the Shackells were also part of the team when I was posted to Taunton. I became a member and Eric Peckett pressed me, with no previous planning experience, to put on a Badge Event at Castle Neroche. It was black and white 1:25,000 photostat map. My London University mate Robin Harvey, of Harvey maps fame, was the controller. Robin arrived on the Saturday before the event - he knocked about 500m off the A course and added 30m of climb. I recall hatred on the face of the winner, Dave Gittus when he crossed the line. The advice he gave me ten minutes later I have followed for almost 40 years, “Planners and controllers should not stand at the finish. No orienteer can be held responsible for what he says in the first five minutes after finishing”. We did have to wait for for the leader of the Westland apprentices group, who took 5 hours 55 minutes*. I became Chairman with Dave Livesey as Secretary and John Pilkington as Treasurer. Together we put on events with a few additional recruits Barry Bibby, Mike Crockett, and Bill Vigar. I was promoted and posted to Weston-super-Mare and as few QO members travelled far in those days, I joined Bristol OC (BOK), so Richard and me could be in relay teams.